The product these experts were able to design, is known as a portable shampoo bowl for home use, and it has proven to be a real smash hit all over the world. Here we’ll be looking at these products in a little more detail. ​A Portable Shampoo Bowl is a moveable device which can be utilized for cleaning and shampooing hair of a kid, an adult, or an old age person or physically challenged patient in a hospital, residential home, day-care etc. The main purpose behind manufacturing this product was to provide hair washing facility to the people without any hassle or untidiness. ​Earlier people used to think that a shampoo bowl is only meant to be used in a beauty salons or hospitals. But, now the trend has changed with the invention of portable shampoo bowl. Now, people can also use this product even at their homes without any issue. 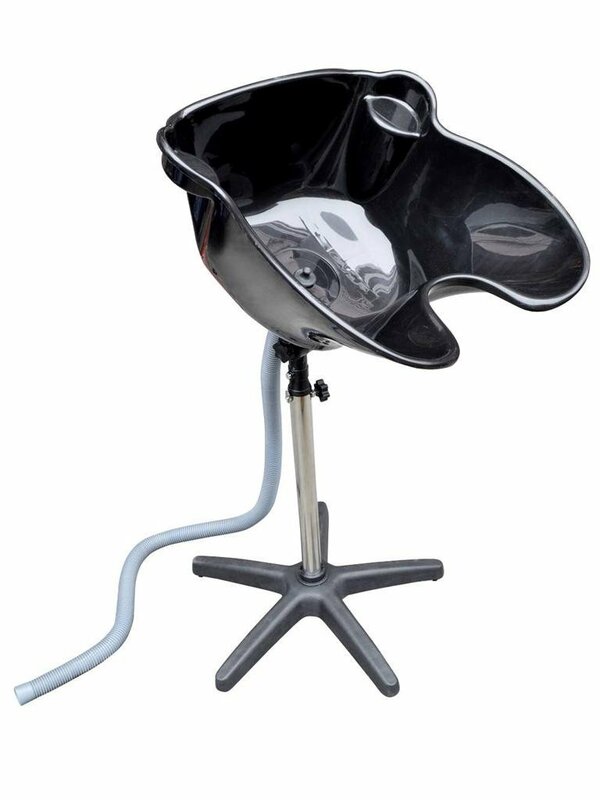 A portable shampoo bowl consists of a deep sink mounted on a stand. You will also find a faucet on it that does not require any kind of plumbing or complicated installation procedure. You just need a source of running water that can be hooked up to the faucet. If you want to use the portable shampoo bowl at your home, then you must need a bucket for draining out the used water and also a comfortable sitting chair for the person who wants to do shampooing. You just have to sit down with your head back and get your hair washed without any discomfort. ​Where did Portable Shampoo Bowls Originate From? ​The concept of using portable shampoo bowls for care assistance is relatively new and was originally a concept derived from bowls, sinks, and basins that were, and still are, commonly used in salons, spas, and barber shops. They’re basically basins and bowls which are easy to manoeuvre, can be hooked up to a water supply with a simple hose, and allow users to comfortably and easily wash their hair without the need to get undressed and get into a shower. As they’re getting a lot more popular, however, more and more people are now using them in their homes, as they can make tasks like washing your hair, so much easier and convenient. ​So Who Uses Them Now? ​Salons, spas, and barber shops all still use these great innovative products now, it’s just that more and more people are also using them in their homes too. Take mobile hair stylists for instance. They often use them, and carry them with them on house calls. They can be h﻿﻿﻿﻿ooked up to the water and installed i﻿n a matter of minutes, are extremely easy to carry and move about, and are very ﻿﻿﻿reasonably priced too. However, as well as hair based businesses, caregivers are also now using them as a way of quickly, comfortably, and easily washing their client’s hair in their own homes. As these caregivers and carers often make home visits, they’ll bring them with them from home to home, or the person requiring the help simply purchases one and leaves it in their home, and hey presto. For people with disabilities, even trivial sounding tasks like getting into a shower can be a real burden, and as a result, these portable shampoo bowls are proving extremely popular and effective indeed. ​Who are some of the most popular brands? ​There are other brands to choose from too, but we found those to be some of the most popular. Take a look and see for yourselves, you won’t be disappointed. ​A portable shampoo bowl at home is quite safe to use for washing the hair of small kids. It became very difficult for parents to wash their kid’s hair in a bathroom or in a normal basin. But, with the origination of this product, now parents can comfortably wash the hair of their infants or kids in a portable bowl. ​The portable shampoo bowl certifies a comfortable and safe shampoo service to the people who are physically handicapped. It becomes quite difficult for these types of patients to wash their hair on their own at home. So, with the help of a portable shampoo bowl, a caretaker or their relatives can help the handicapped person in washing hair without any creation of mess. The height of the portable shampoo bowl is also adjustable that can be modified according to the requirement of the person. This also reduces the chances of wetting of floor and the clothes of the patient also. ​The price of the portable shampoo bowl is also very economical. It means the total amount you spent on visiting a beauty salon in six months can be recovered if you buy a portable shampoo bowl for your home. So, you do not have to worry about the cost of this product even if you possess a very less budget. ​When you go out to a beauty salon for availing the service of hair shampooing, sometimes you have to wait for long hours even after taking the appointment in advance. But, if you own a portable shampoo bowl at your home, lot of time will be saved and you can utilize that time in another piece of work. B﻿﻿efore buying a portable shampoo bowl for home use, there are some features that need to be considered also like convenience, durability, size, price, etc. All people have the diverse range of requirements. Therefore, after considering all your personal necessities, you should purchase a portable shampoo bowl for household use. I am sure that not only you will be benefitted from this product but all your friends and relatives will also get gain from this amazing portable device. Portable Shampoo bowl is easily available on various online shopping websites at the reasonable prices, such as amazon.com, ebay.com etc.